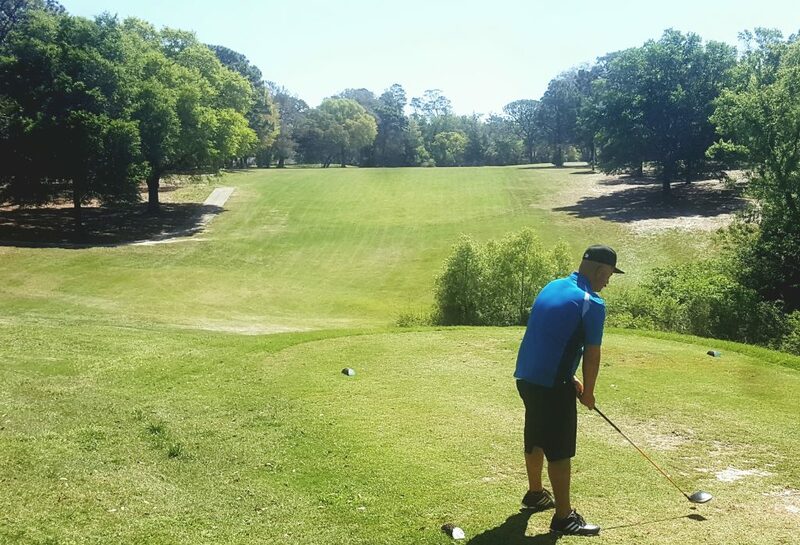 NICEVILLE, Florida – Every year we’ve made a conscious effort to visit some of the 53 courses on the Florida Historic Golf Trail. This Trail isn’t like many of the others around the country. Its courses are selected for historical purposes, and more states should create such trails. The Florida courses must be open to the public for at least 50 consecutive years. Each has an interesting history. Some have suffered, some flourished over the years but all have survived. You never know what you’re going to get golf-wise when you play a course on the Florida Historic Golf Trail, but you know you’ll get a taste of what golf was many decades ago. 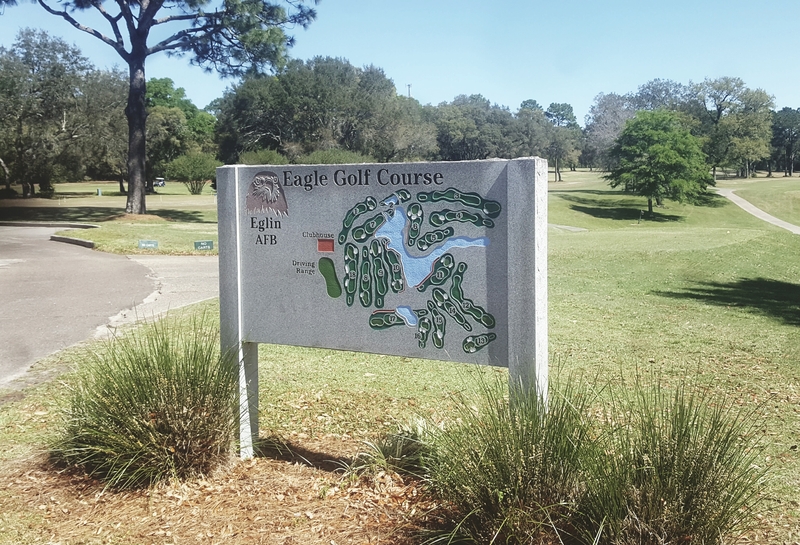 We’ve played 12 courses on the Trail, the most recent being the Eagle Course at the Eglin Golf Club, which is part of the Eglin Air Force Base nearby. It’s not the best course on the Trail – El Campeon at the Mission Inn Resort in Howey-in-the-Hills rates above it – but none of the courses we’ve played on the Trail have quite the interesting history that the Eagle does. It was built as part of a resort in 1923 by a group of businessmen from Chicago. James E. Plew, founder of the Chicago Towel Company who also built the nearby Valparaiso Inn, was the leader of that effort and his cohorts reportedly included the infamous gangster Al Capone. The course was in the town of Valparaiso then and was called the Chicago Club of Valparaiso. The members built their own nine-hole course before bringing in the architectural team of William Langford and Theodore Moreau to design an 18-holer. After they finished it in 1927 a trainload of 200 golfers from Chicago came for the grand opening. The course went bankrupt in 1929 and the name was changed to the Valparaiso Country Club. 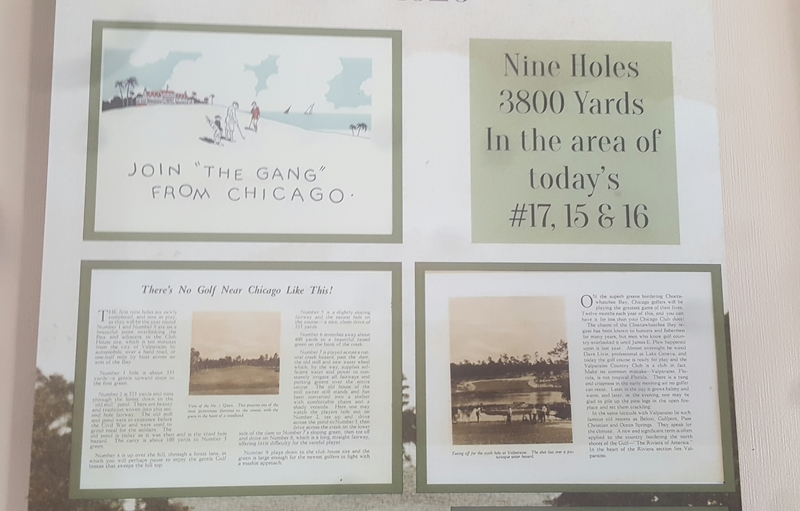 Eglin’s clubhouse wall contains memorabilia from its early days as a get-away for Chicago golfers. It operated as a resort in the 1930s, during which it was reduced to nine holes again. In 1937 the course was renamed Eglin Field in honor of an airman who had been killed in an airplane accident. In 1942 Plew sold the course to the U.S. Government and it is now part of what is a bustling Air Force base. Under the new ownership the Eagle was restored to an 18-holer that is ranked among the best military golf facilities in the country. The course was also deemed good enough to host a pro-am event for the top PGA players in the 1960s. (Doug Ford and Mason Rudolph comprised the winning team). The course was named the Eagle after the F-15 Eagle fighter aircraft and it received a companion course, called the Falcon with nine holes being built in 1960 and another nine in 1989. The Eagle greens underwent a renovation in 2008 and the routing was changed after a new clubhouse was built. The present Eagle has five sets of tees, with the course playing at 6,861 yards from the tips and 4,484 from the front. Even a week after aerification procedures the course was very playable. It has spacious, undulating fairways but walkers can certainly enjoy it, too. The Eglin clubhouse is more than adequate for the wide range of golfers visiting the course.